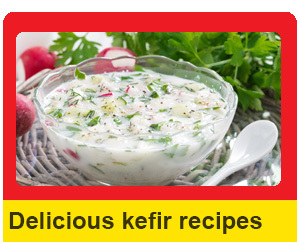 Kefir is a popular, health-boosting drink made from the fermentation of kefir grains and milk. The origins of the name come from the Turkish word for pleasure; probably because when drunk daily, kefir promotes health and an overall good feeling. Its’ probiotic qualities are rumored to cause longevity and have recently caused its’ growing popularity in Europe and the Americas. 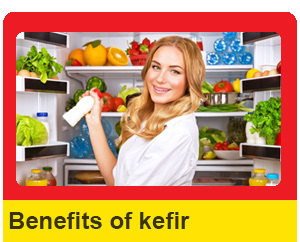 In Turkey, Kefir milk is a well-known traditional beverage more than a health craze. Probably traveling from the Caucasus Mountains around the Black Sea, commercially produced kefir is now found here in the dairy product case alongside probiotic yogurts and ayran (another traditional beverage which consists of a salted yogurt drink). Much like the mass produced kefir drinks sold in the specialty or health food section of a supermarket on the other side of the Atlantic, they come strawberry or mixed fruit flavored and promoting the probiotic goodness found inside each bottle. 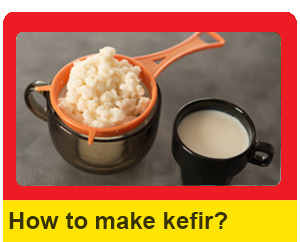 However, any Turkish teyze (auntie) is likely to tell you this store-bought kefir is not the real thing. They will tell you never to buy this sweetened and more yogurty tasting kefir drink as it isn’t made with real kefir grains which are at the heart of making authentic kefir milk. For those suffering from any stomach discomfort or chronic tiredness, they will reveal a glass bottle filled with the fermenting milk and pour a glass. Be aware that they will not take no for an answer; the patient will be made to quickly gulp down their medicine. This will be followed by a gift of kefir grains and lessons on how to make your own kefir batches, and a perscription to drink at least one whole glass everyday. According to Turkish teyzes a glass of kefir milk made with true kefir grains every day will make your stomach run smoother than ever, prevent all manner of illnesses, cause an energy increase both mentally and physically and lead to living a longer and healthier life. The process of making this delicious drink is actually quite simple and quickly becomes a part of the daily routine. The health benefits of kefir and good feeling it promotes make it well worth the effort of keeping a small space in the kitchen dedicated to homemade kefir production. The drink has long been believed to promote long life and increase overall health. This folklore led to many more recent scientific studies, which have also shown that a daily dose of kefir adds many pluses to the body. It all comes down to the uniqueness of the kefir grain. The kefir grain works on a basis of harmony, or a symbiotic community, which goes on to promote harmony in the body. 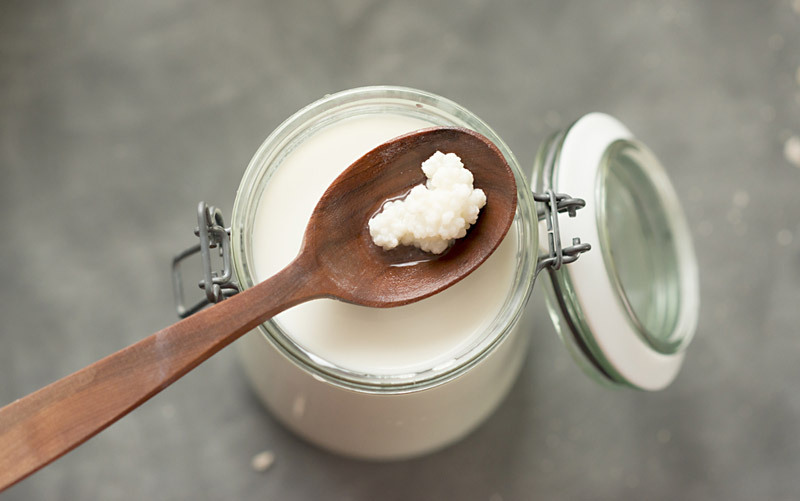 This symbiotic community means that the microorganisms, including many kinds of bacteria and yeasts, have a mutually beneficial relationship within the kefir grains. These compounds have bioactive characteristics meaning that they have an effect on the human body. 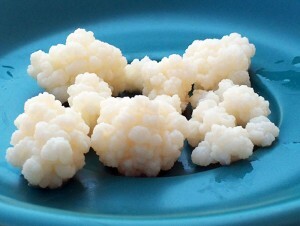 Where to find real kefir grains? In this case the internet can be a great resource or a troublesome enemy. There are many websites and sellers online who claim to have the authentic kefir grains which will multiply and continue to make delicious kefir for many years. What is the difference between yogurt and kefir? Yogurt is believed to be one of the most ancient food products, first made in Central Asia between 9000 and 6000 B.C. The discovery or yogurt may have been a matter of chance by storage of milk in a warm climate or in animals’ intestines. The process was later learned from this discovery. Kefir, on the other hand, has a much more mysterious beginning. Everyone agrees that the first kefir milk was produced in the Caucasus Mountains, but no one seems to know where the first kefir grains came from. I’ve been making Kefir for about six months, using pasteurized 2% milk with no problems. Raw milk, due to not having been pasterurized, carries the risk of already containing bacteria and other cultures. These pre-existing cultures in the raw milk could be competing with your kefir, and slowly killing them.